DC characters Harley Quinn and Wonder Woman are the most popular trick or treat getups this year. It's time to search for Halloween costume ideas and this weekend will be overflowing with fall holiday parties, leaving one desperate to find the perfect disguise. 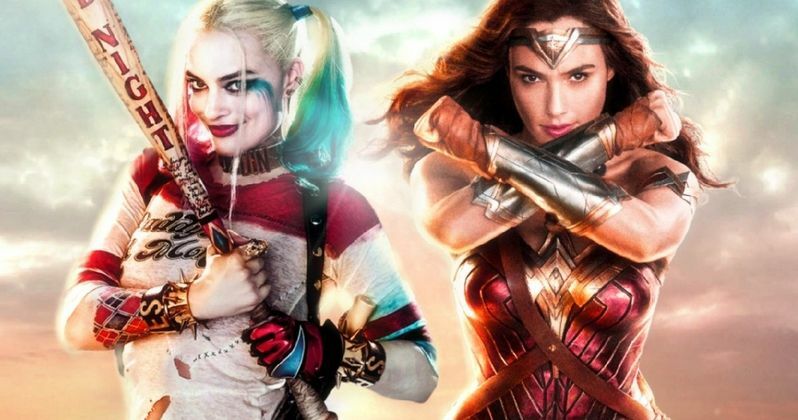 If you're going for originality, Wonder Woman and Harley Quinn probably wouldn't be the best answer, considering that recent data proves those are the most searched for costumes. Gal Gadot's portrayal of Diana Prince in Wonder Woman resulted in the DCEU's best-received movie and proved to be a monster at the box office. The superhero has always been a staple for Halloween, but the updated costume has been making the rounds over the last year, and is by far, the most popular Halloween costume. Recent findings analyzed Google search data for every state, indicating that Gadot's Wonder Woman is number one, which really doesn't come as a surprise. Going back to the 1970s outfit might be able to throw an original spin on the costume this Halloween. Margot Robbie's Harley Quinn is the second most-popular Halloween costume. Quinn used to be more of a cosplay project for fans of the Batman comics and animated series at conventions, but that all changed drastically when Robbie suited up as the villain for 2016's Suicide Squad. While the movie wasn't received very well by critics, it proved to be a financial success with over $746.8 million at the worldwide box office, and spawned a whole new faction of fans for the character. The fall of 2016 saw the Harley Quinn costume take off, and it's still holding on pretty strong, two years after the release of the film. The two DC Comics characters are dominating Halloween this year, but there's also a lot of evidence that suggests that the classic bunny costume is also very popular as well. In addition to the bunny, a mouse costume is pretty popular as well, followed by a pirate, dinosaur, and clown. Pennywise the Dancing Clown from Andres Muschietti's IT was seen at many Halloween parties last year, and it's safe to say that costume will be around again. Additionally, DC's Joker is another clown staple of Halloween. Joaquin Phoenix is currently portraying the Clown Prince of Crime for Todd Phillips' Joker, which hits theaters next year, so expect to see a spike in popularity next Halloween. With Wonder Woman 1984 on the way, albeit a little later than originally anticipated, one can expect to see a lot more of Wonder Woman at Halloween parties for years to come. Margot Robbie will be back as Harley Quinn in the Birds of Prey film, which is currently in the pre-production phase, so that costume won't be going away any time soon either. Depending on your idea of a good Halloween costume, you may want to shy away from any of the costumes mentioned above to avoid running into others with the same exact costume. The costume data was first reported by The Insider.